This velvet tallit/tefillin bag has the classic and simple branch and leaf design embroidered in silver threading. Two branches with leaves spread out and form an upward shaped arch. 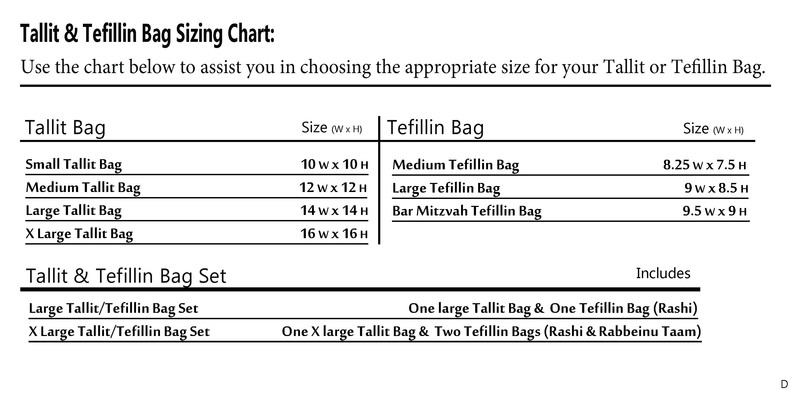 The Hebrew word “tallit” or “tefillin”, depending what size/style is selected, is embroidered above the design. 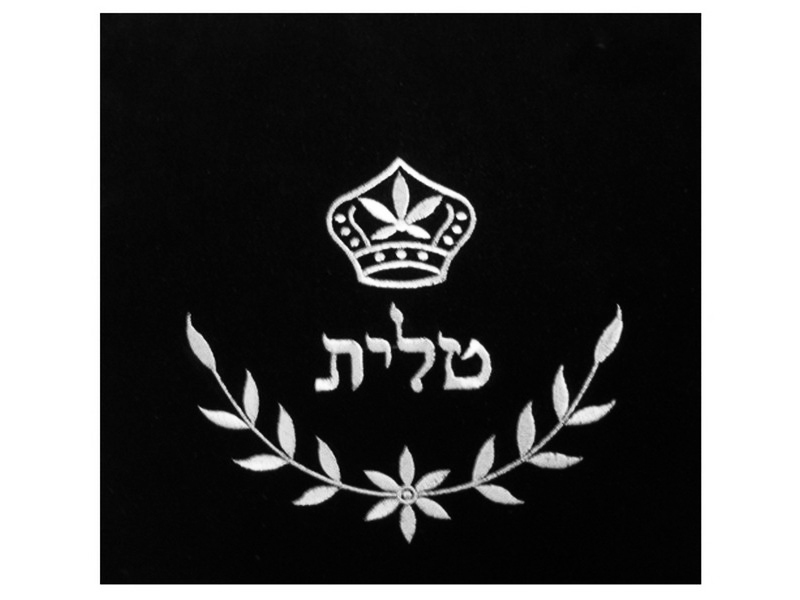 A crown above the Hebrew word completes this classy design.